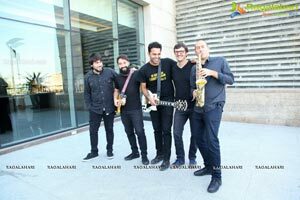 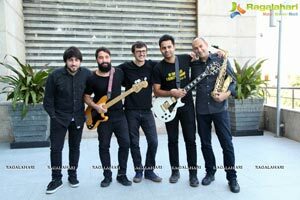 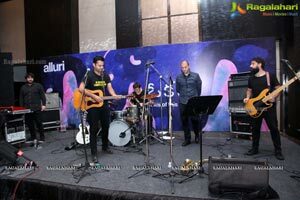 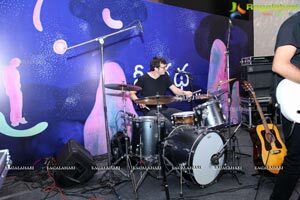 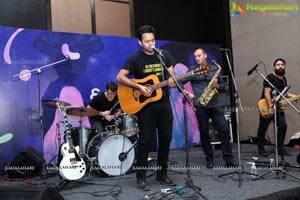 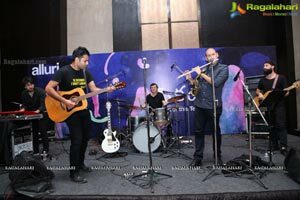 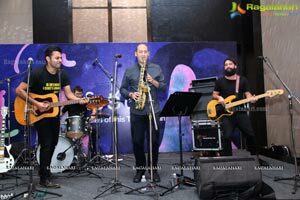 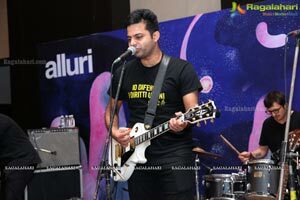 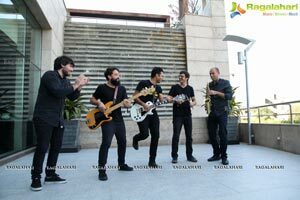 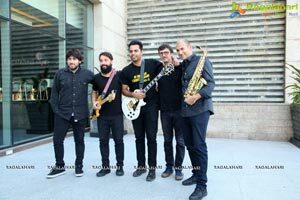 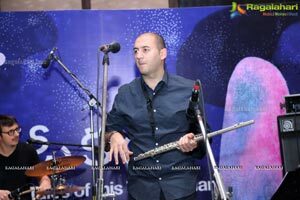 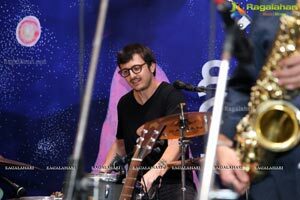 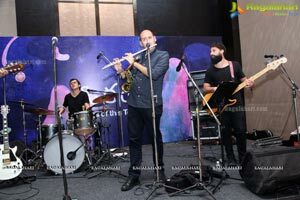 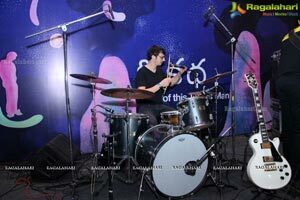 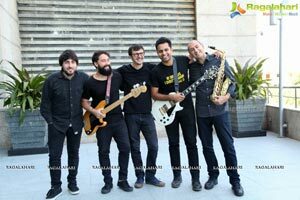 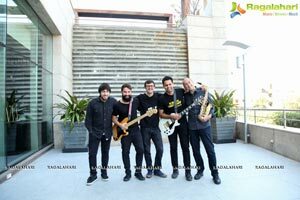 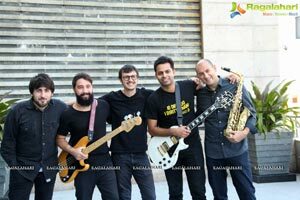 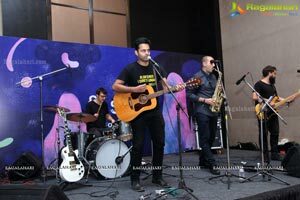 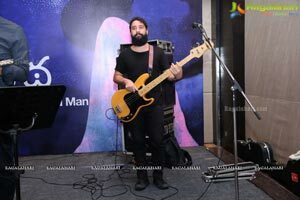 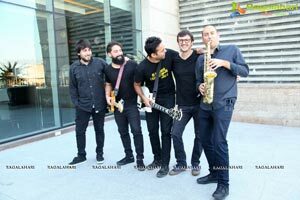 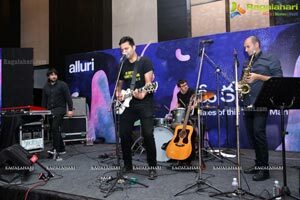 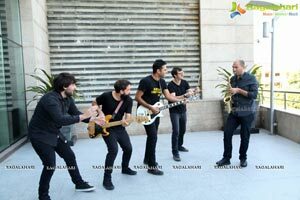 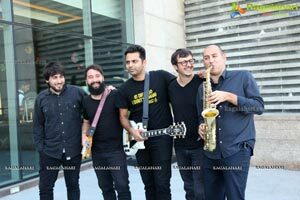 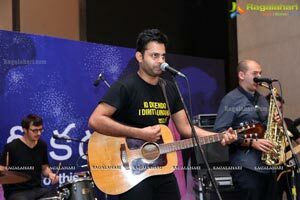 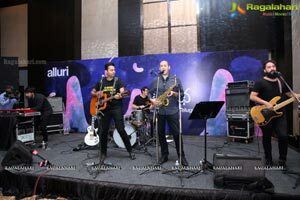 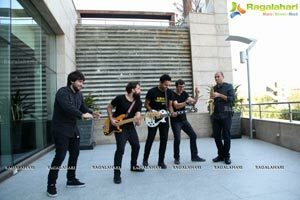 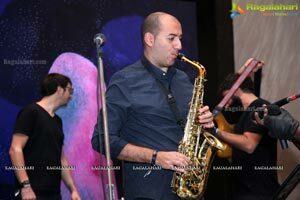 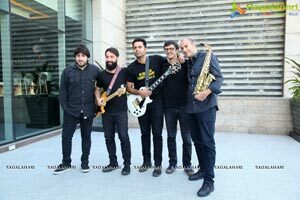 Hyderabad, India, December 11,2017: Internationally renowned Telugu Rock Singer and Song Writer Alluri performed his new Telugu Rock Album Music live at a media conference in Hyderabad today along with His band of Italian musicians. 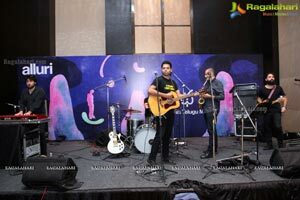 The show was exclusively arranged for the media. 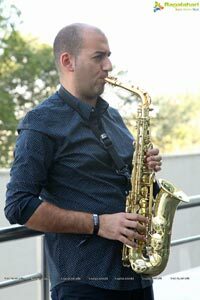 This highly anticipated album will be released internationally in 2018. 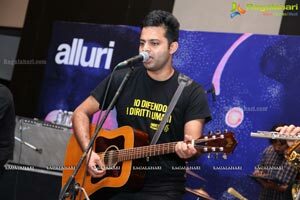 When most of Millennial are shy of speaking in their mother tongue, here is a Telugu youth, Alluri a singer (and on guitar) songwriter (music composing and lyrics) performed in Telugu at Trans Musicales Festival in France last week. 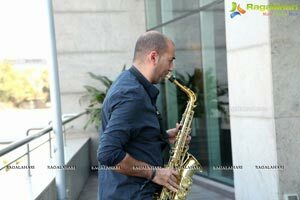 "Great music is made everywhere in the world. 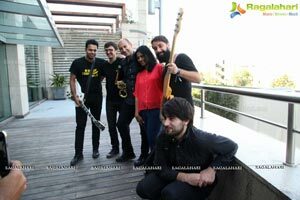 Language is no barrier when you hear a song that offers some emotional or melodic connection. 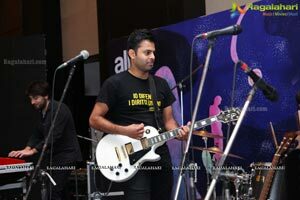 It is always a great pride to perform live in my city where I belong to." 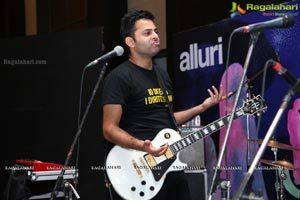 Alluri said after performing the songs from his unreleased album. 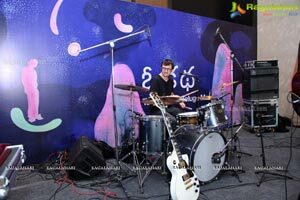 He is the first known Telugu musician who earned international recognition through his rock albums. 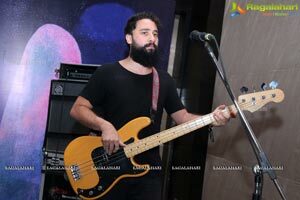 After his live performance at The Islington in London, the music-news.com a leading music media publication in UK called his sound a musical brainchild of "Arcade Fire and Ennio Morricone". 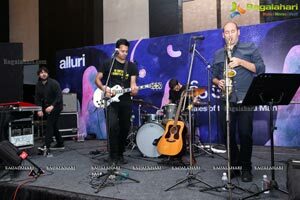 According to his manager Stephen Budd, "Alluri is an extraordinary talent writing both the music and the lyrics that create a special emotion. 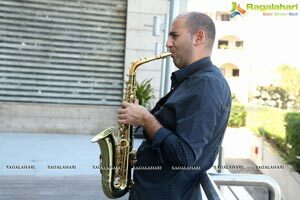 And to us here in Europe the sounds he makes have a special appeal. 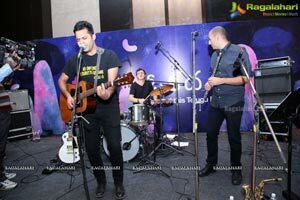 Singing in a language few in Europe understand, it's an interesting challenge that artists like Sigur Ros (Iceland) and Songhoy Blues (Mali) have succeeded in reaching an audience due to the strength of their melody and passion of their performance. 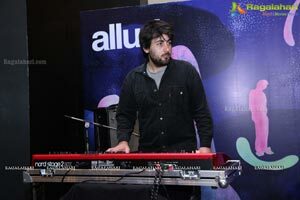 I think Alluri has the potential to do that too”. 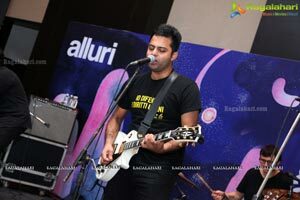 Born and raised in Hyderabad, India now based in London Alluri is difficult to categorize. 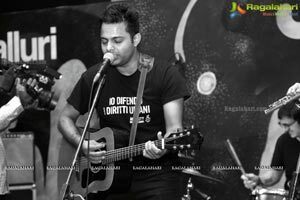 Classical music was absorbed in his teens then he learnt guitar whilst listening to acts like Doves and Morrissey during his UK studies. 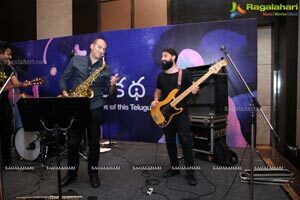 Now working between India, the UK and Italy, he has teamed up with Muse producer/mixer Tommasso Colliva and Italian musician Massimo Martelotta, from cult "cinematic Italo-funk' band Calibro 35 (who recently collaborated with Jay Z) for this powerful and unique music sung in Telugu. 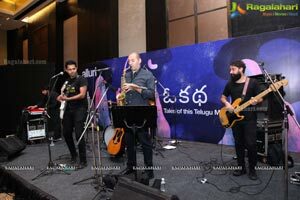 album, following the album's significant success, he went ahead to record the single "Evari Kosam" (For Whose Sake) which was released on prominent independent record label 'Killing Moon". 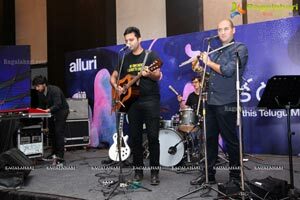 In July 2017 Alluri brought his band to perform in London and also at The Cambridge Folk Festival. 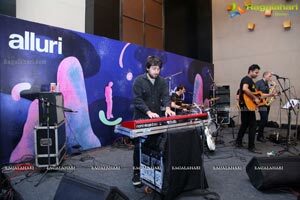 This December has been an extremely busy month for Alluri, he performed a sensational set at the prestigious Transmusicales Festival in France on 7th of December and within two days on 9th Dec he was in Pune, India to perform at the NH7 Weekender Festival, and this is the second season, he is performing at NH7 Weekender Festival. 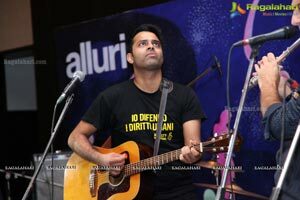 Alluri's team had created free to use link to listen to his songs and instrumentals of the songs, those interested to listen to the songs can send a SMS or give a missed call on 9246029292 to receive the link. 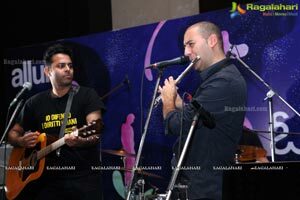 He is currently on a tour along with his band and is all set to perform in different cities including in India.